The helicopter flying altitude at Speedway Boulevard is 3,200 feet above sea level. The ground elevation of the project site is approximately 2,500 feet above sea level while the high-rise is limited to 250 feet from the ground elevation. Therefore the highest point of the building will be approximately 2,750 feet above sea level, which is approximately 450 feet below the helicopter flight path. 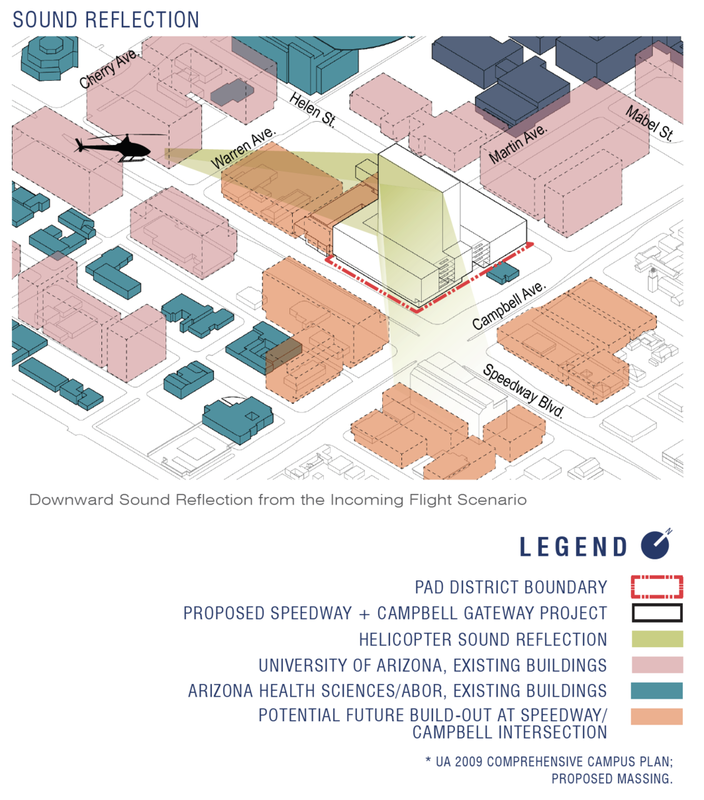 Therefore the project does not impact the flight path of medical transport helicopters to and from Banner-University Medical Center and so helicopter noise will not increase due to the high-rise. More importantly, the study shows that the lack of other structures of similar height in the area means that there will be no “canyon” effect to cause additional reverberation.